Well for those of us in the know, there was yet another attempt to revive the House of Halston. A collection was presented for fall 2008 with the mission to capture the magic of this fabled American design house. Did Mr. Zanini (newest designer) meet the challenge? Well there were mixed reviews, I viewed the collection on Style.com and was somewhat impressed, but not as impressed as I was by Randolph Duke's efforts. It truly is a daunting task to take on such a legendary name. Halston stood for all that is modern, sleek and above all AMERICAN!! When Yves St. Laurent did his much heralded Russian/Cassock collection it was an exercise in fantasy. Many American designers followed his lead most notably Bill Blass and Oscar de la Renta. 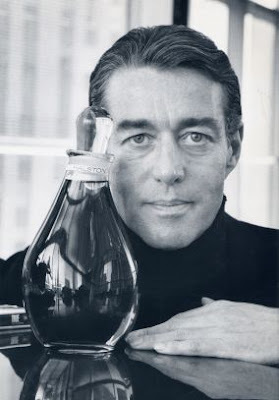 Only Halston and Geoffrey Beene stood firm in their ideas of American modern style. There have been at least five designers who have tried to carry on the Halston label, and one wonders if anyone can? No doubt the super glamor of the man himself couldn't help but enhance his influence and made his clothing so desirable. But it take more than a name, the bottom line is that you have to have the goods! You have to fulfill the needs of modern day women, to anticipate what they need and to give it to them. No one did it better than he! Add to this the fact that his clothes have withstood the passage of time and are still as valid and wearable today as there were 20 or 30 years ago!! That is the true mark of a master! Very few have that remarkable quality which is why today he is still so missed!